Winter can come! With the Herpa Wings winter vehicles, your airport diorama will be perfectly prepared for ice and snow. We will also make your 1/400 scale diorama weatherproof. The set contains, like in the 1/500 scale, two snow ploughs, one unimog, one bulldozer and a deicing vehicle. Winter can come! With the Herpa Wings winter vehicles, your airport diorama will be perfectly prepared for ice and snow. 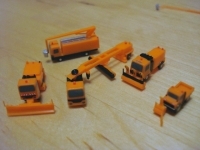 The set contains two snow plows, one unimog, one bulldozer and a deicing vehicle, all in the 1/500 scale. Herpa States: Fighter planes at air bases are placed in so called shelters or HAS (hardened aircraft shelters), the official NATO name, to protect them from attack. These protective buildings are made of concrete and are equipped with steel pipes to withstand the blast wave of a detonation. Replicated in the 1/200 scale with moveable doors you can now protect the more compact military aircraft on your diorama, including the Eurofighter. Figurines and the display of single scenes enliven the diorama. 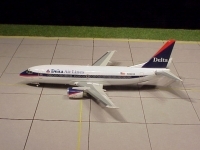 The set contains a total of 24 figures, including two supervisors, pilots, various ground personnel, and two cockpit ladders. Herpa's latest in the scenix series brings us houses and some relaxing recreational scenes for your models. How do they stack up? Read on!